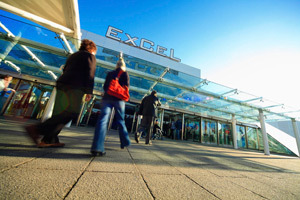 ExCeL London, the international exhibition and convention centre, is the host venue for the 15th EFORT Congress, a combined congress with BOA sessions. The venue hosts a variety of events from award winning exhibitions and conferences to international association meetings, product launches, banquets, award ceremonies, sporting events and great days out.London is the largest urban area within the United Kingdom and the capital of England. Built on centuries of trade, talent and ideas, London has developed into a cosmopolitan, culturally open and cutting-edge city. More than fifty major international communities have made London their home and as a result, it has become a gastronomic delight for different cultures.There are more than 300 different languages spoken in the capital and this remarkable diversity allows London to be an ideal destination for international business. The city is sure to suit every event and every delegate.The perfect blend of the past and the present; London is a city with so many places to see that it would be hard to find the time to view them all in one visit. Samuel Johnson, the famous British author was right when he said that “when someone is tired of London he is tired of life”. With green spaces spanning 30% of the city, more than 100,000 hotel rooms, a feast of remarkable restaurants and a genuinely warm welcome for all, London is the perfect location for an event.